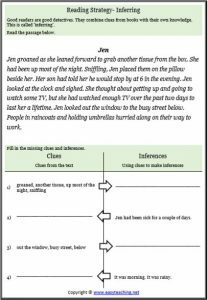 Making inferences is an important reading strategy for children to learn and use. Questions that require readers to infer are sometimes referred to as ‘Author and Me’ questions. Good readers are good detectives. They combine clues from texts and images with their own knowledge to pick up clues authors leave. 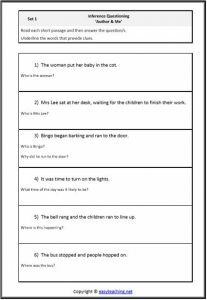 Practise identifying clues using our collection of inferring worksheets. 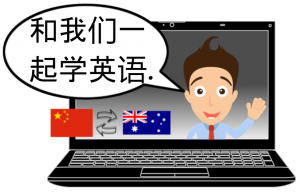 Conduct an interview with a character from a book. 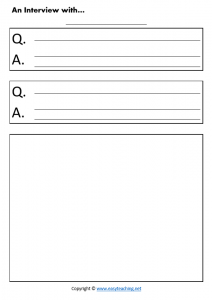 Encourage children to compose open questions and to make inferences when answering them. Make a list of all the clues in the image. Use the clues to make inferences. Make a list of all the clues from the text. 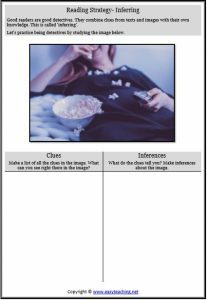 Use the clues to make inferences. Some clues and inferences are given. Fill in the blanks. Read the sentence, answer the question. 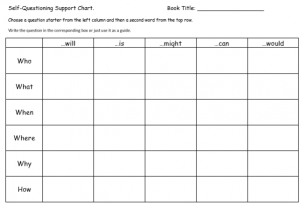 This chart assists students in posing a range of questions to ask during and after reading.